Producer: The History Channel, 2008. 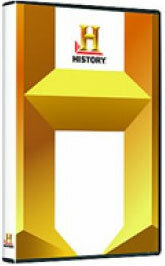 The History Channel's popular program, "The Works," devotes an entire episode to beer in America! In search of beer's true meaning, host Daniel Wilson travels the country, landing first in Boston for the Extreme Beer Festival, where he samples beers and talks to industry experts. Next is a visit to the Smuttynose Brewing Company in New Hampshire, where we follow a batch of India Pale Ale through its brewing process. A stop in Pittsburgh explores the wonders of hops and the cutting edge science of hydropondic hop cultivation -- a potential life saver in the midst of the recent global hop shortage. The pairing of food and beer is discussed with chefs at the Publick House Pub. A tour of Anheuser-Busch gives us a look at how the "big boys" brew. And an interview with A-B's advertising agency in New York City sheds light on the marketing of beer in America. A highly entertaining journey! "It's the most popular beverage on the planet - mankind's first recipe carved in stone ten thousand years ago, and today, the brewski still rules. Join host Daniel Wilson as he sets out to find the timeless secret to beer's mystique - how its made, how its marketed to us, how new beers are invented and tested and how the giants jockey for global supremacy. Wilson even uncovers an ecological time bomb - a beerdemic threatening to make beer an endangered species!"